The road is reaching an end this weekend for local tournament teams. Will there be a pot of gold waiting for them? Four local teams are vying for state titles in volleyball and soccer, while area cross country teams and individual runners will be competing in the next leg of the post season, the Meet of Champions. That event is at Nashua South/Mines Falls with the girls race at 2:30 p.m. and the boys at 3:20. In boys soccer on Saturday, Campbell will take on Trinity at 1:45 p.m. for the Division III title at Southern New Hampshire University. Later tonight at Pinkerton Academy in Derry, Hollis Brookline goes for an impressive title fourpeat in Division I girls volleyball against Bedford at 5 p.m. with Milford taking on Gilford in the Division II title match at 7 p.m.
On Sunday, the local non-football title chase concludes in the Division II girls soccer championship game with Milford taking on Hanover at 12 p.m. at Stellos Stadium. No. 3 Campbell (17-1-1) vs. No. 1 Trinity (19-0), 1:45 p.m.
It’s been quite a run, quite a season for the Cougars, as the soccer rich Miller family, headed by former Daniel Webster College and Fitchburg State coach Bill Miller and his son Aaron, took the program’s reins about two days after practice started in mid-August on a last minute hire. The Cougars’ only loss of the season was to Trinity in the regular season finale, 2-1. This is Campbell’s first boys soccer final. “Trinity is very strong down the middle, I’ve scouted them four times,” said Bill Miller, whose Eagles tenure was in the late 1980s. “We play it wide. We’ve got speed on the outside. Let’s see what they can do. The Cougars have 10 seniors, led by forward Justin Furlong, and the Pioneers have eight, with a bit of a smaller roster. 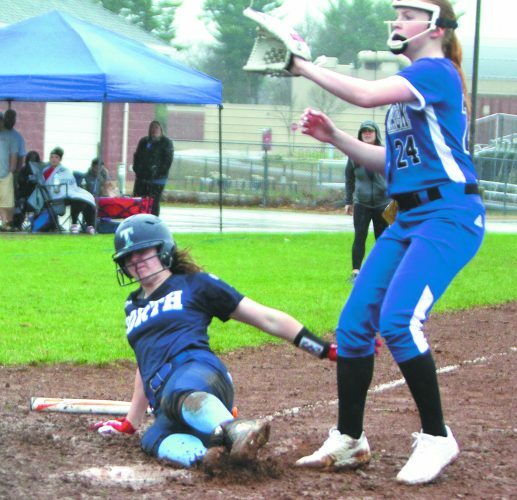 But it was good enough to go unbeaten, with shutout tourney wins over Inter-Lakes and White Mountains before surviving 3-2 vs. Hopkinton in the semis, after leading 2-0. No. 6 Bedford (17-4) vs. No. 1 Hollis Brookline (20-0), 5 p.m. The Cavaliers have lost only two sets – yes, two – all season long, and they beat the Bulldogs 3-0 way back in the fourth game of the season. 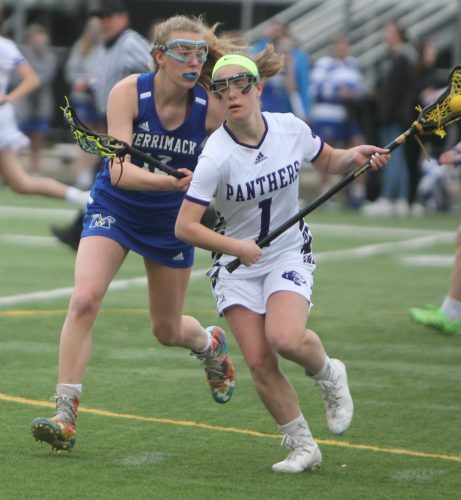 Nashua South coach Wayne Siejkowski said last week Bedford has improved, and the Panthers found out first hand in the semis. Still, the Cavs are a heavy favorite, led by the likes of Maddie Norris and Elizabeth Atkinson. They’ve kept their dominant pace up so far in the tourney. “We just need to go into Saturday with the same mentality,” Cavs coach Becky Balfour said. No. 3 Milford (16-2) vs. No. 1 Gilford (18-0), 7 p.m. The Spartans lost to Gilford 3-1 back in the third match of the season, before embarking on a 10-match win streak. They’ll be seeking their first state title since 2002. Led by outside hitter Gabrielle Monico, plus the trio of Emily Flaherty, Julia Guarniere and Isabel Philbrick, they survived a grueling five-set semifinal match vs. the only other team to have beaten them, Oyster River. 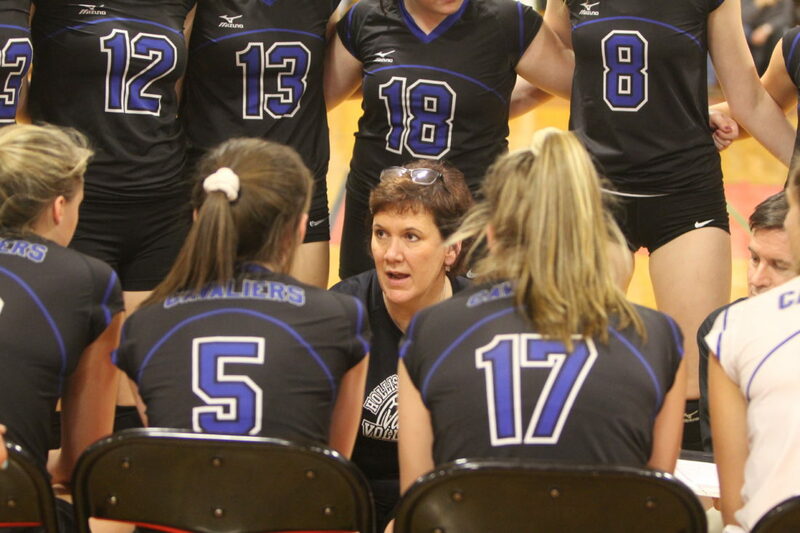 “They’ve been very good in the playoffs, not letting anything get to them,” Spartans coach Elizabeth Solan said. Gilford won an incredible nine straight titles from 1999-2007, and last won in 2015. At Nashua South, Girls 2:30, Boys 3:20 p.m. In the girls race, local teams that qualified include Bishop Guertin – led by Divison I champion Caroline Fischer — Campbell, Milford and Souhegan, while othere locals such as Nashua North’s Arianna Braccio and South’s Lydia Mathson will be among area runners competing individually. In the boys race, Nashua North, Campbell and Souhegan are the loca full teams competing, with the Titans paced by Joe Curran and the Cougars by Divsiion III meet champion Jeff Allen. Ironically, even though Division II had more of a balanced schedule with most everyone playing everyone else, these two teams didn’t meet in the regular season. Both programs have soccer traditions. Milford, with former USC and current pro Morgan Andrews leading the way, won the Division II title in 2012, and they also won a Class L title way back in 1988. Hanover has won seven, the last in 2015. 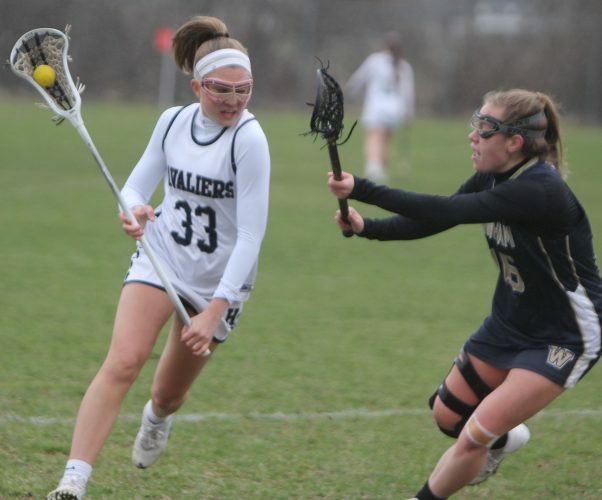 Most of his players, from top seniors like Ashleigh Matsis and goalie Katie Lorden, to up-and-comers like sophomore Syd Thibault, have tried to follow the Andrews tradition, taking part in any of her local events. “Anything that she did or planned, they were all there, every single one of them,” Milford coach Russ Matthews said. There’s no fear of the unknown, he said, with Hanover, which survived 1-0 in the semis over Bow on a goal by junior Pepper Joseph. In a football note, today’s Campbell-Laconia Division III semifinal has been moved to Manchester Memorial, same 1 p.m. time. The switch was likely due to the heavy rains expected, as Memorial has field turf and Campbell’s is a grass field. 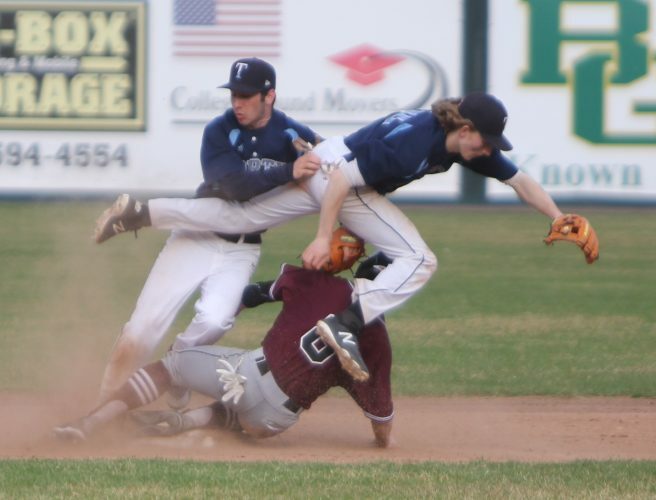 Also, Alvirne and Milford, rather than try to find an alternative field turf site, moves their game at Alvirne to Sunday at 4 p.m.